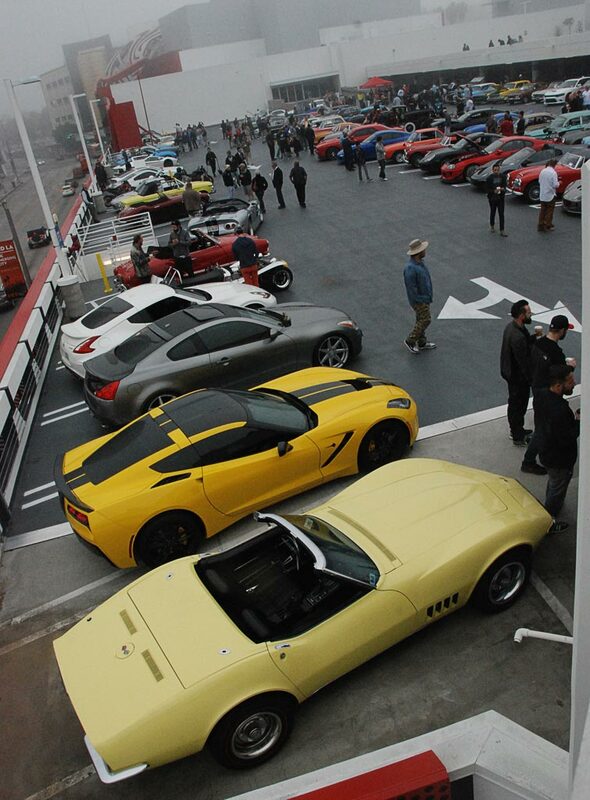 February 28, 2016, hanging with fellow Corvette peepes at the Petersen Museum. 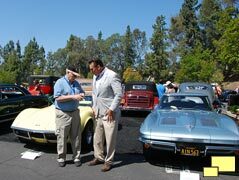 The drive there with LA freeways and in town traffic wasn't so great but a good time was had when we arrived. 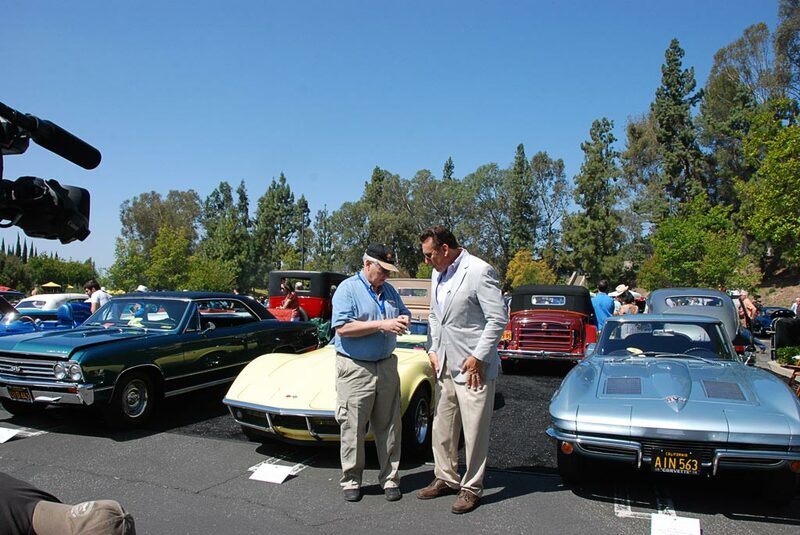 Had a great honor in May 2015; was invited to the Greystone Mansion Concours in Beverly Hills. A classy event, made that much better as it included tours of the mansion. 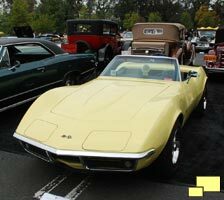 There were a lot of high dollar cars in attendance. Above Right: Was interviewed by Dave Kunz | abc7.com. 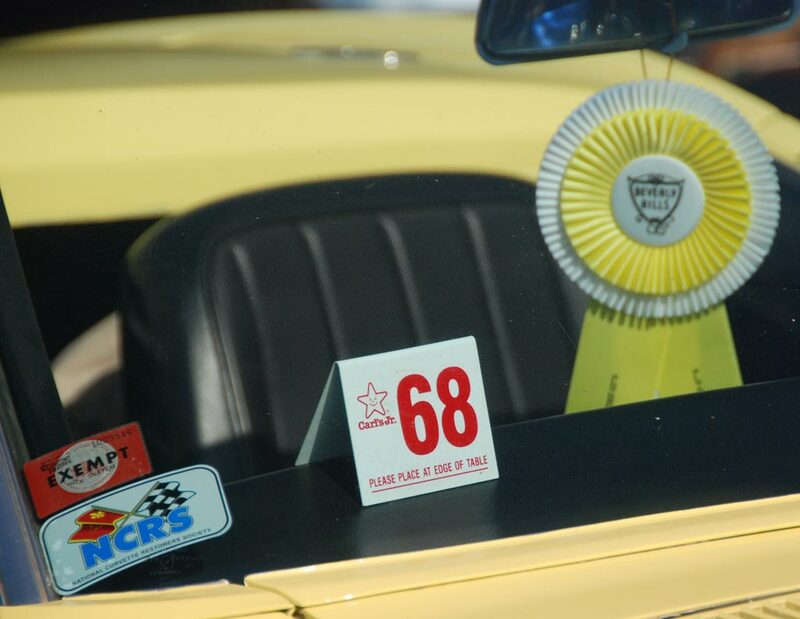 There are many rewards for owning a vintage Corvette, some of them unexpected. 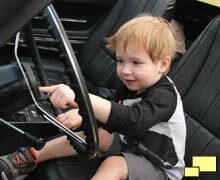 I was at the Supercar Sunday event in Woodland Hills CA when this little tyke ran up to Safari and kept pointing at it. He didn't say anything but he indicated a lot of excitement to his parents. I let him have a seat and he just smiled and pointed to this and that. A future 'vette enthusiast? Let's hope so! 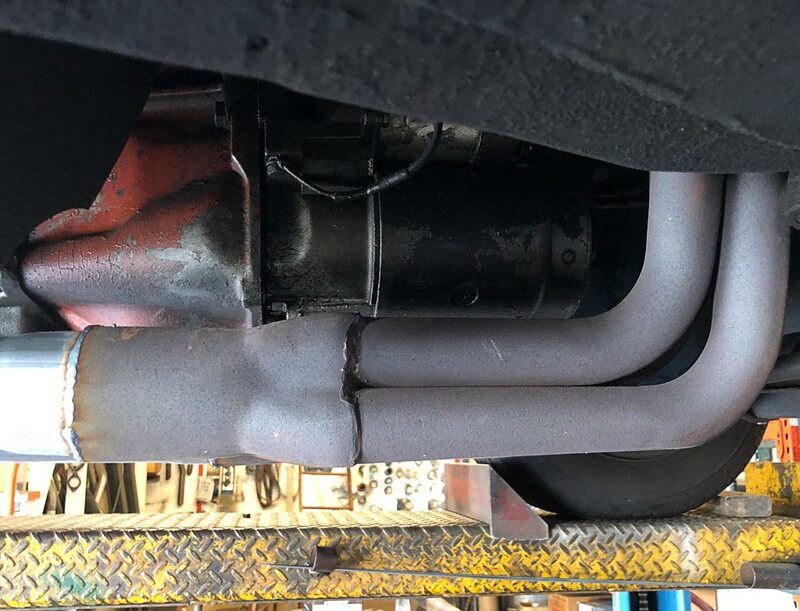 Around 2017, some problems with the exhaust system became apparent. There were occasional rattles and other issues. 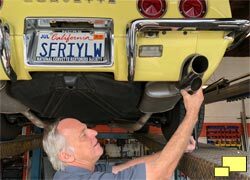 I was never happy with the aftermarket header exhaust flanges as they were the lowest part of the car and therefore vulnerable to speed bumps etc., a common malady for low slung cars. 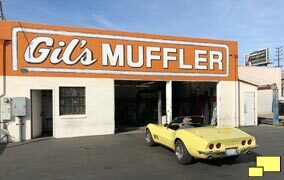 Enter Dale from Gils Muffler, Northridge CA. I asked where Gil was and Dale told me that Gil was his dad who started the business in 1957, retiring 40 years later. Dale himself started in 1977, so he also had 40 years in the business. 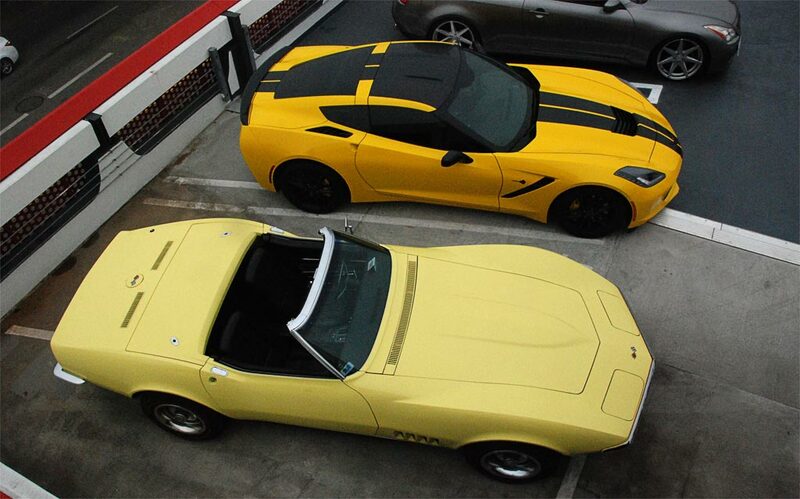 Clearly this experience and background is what you want for working on a car like the Corvette. The system previously installed wasn't bad but it did carry some negative baggage. 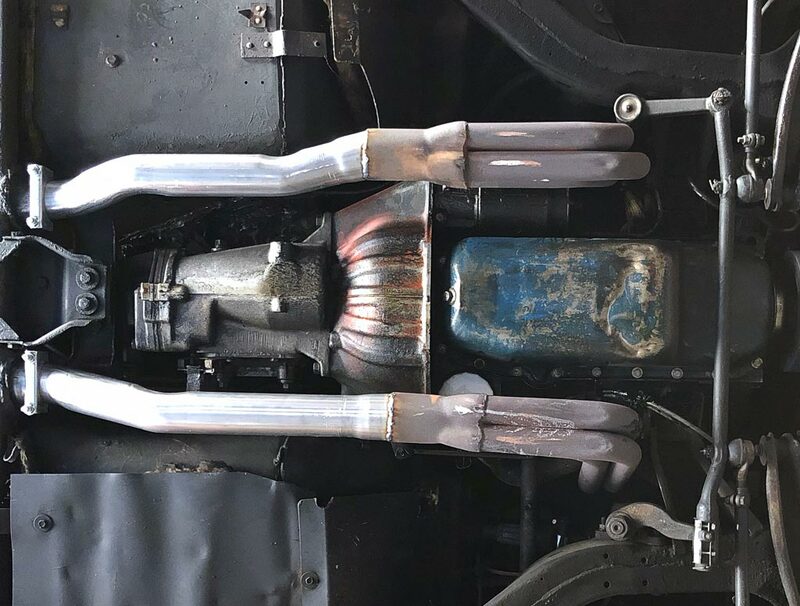 The mufflers themselves were clumsily installed and were hitting the body; some sections of the body had been cut away due to clearance issues. Also missing were hangers just before the frame opening. Dale worked his magic and I was very pleased with the results. 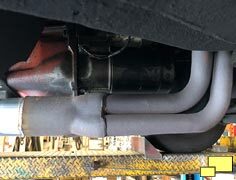 The flanges were cleaned up so speed bumps and other threats were mitigated. 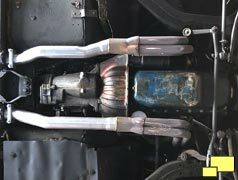 Proper hangers were installed and the mufflers themselves got better placement. The exhaust tips themselves were changed to a more correct type with an angle cut, although I really wasn't going for a "concours" result. 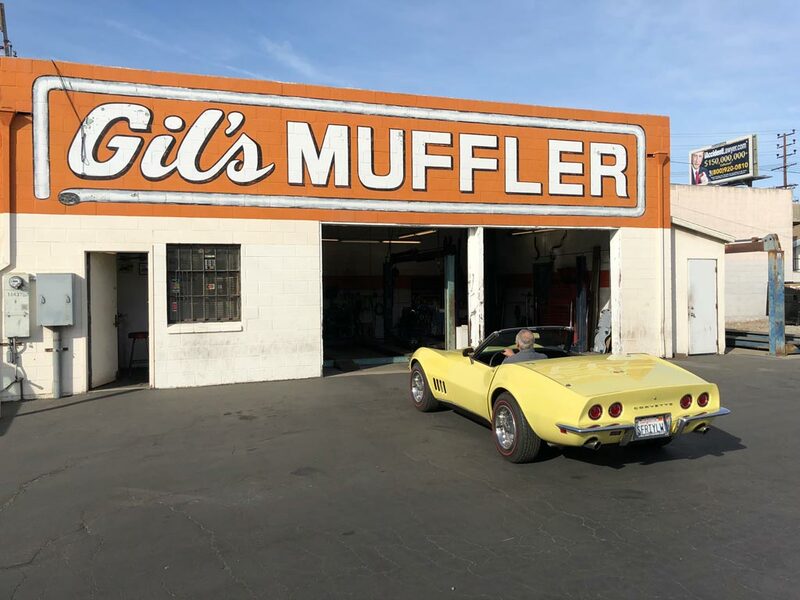 As a person on a quest for their first vette I really enjoyed reading your articles. Gave me some much needed insight on some of the things I can expect when owning an older vehicle. Much like us old guys they require a bit of care from time to time.